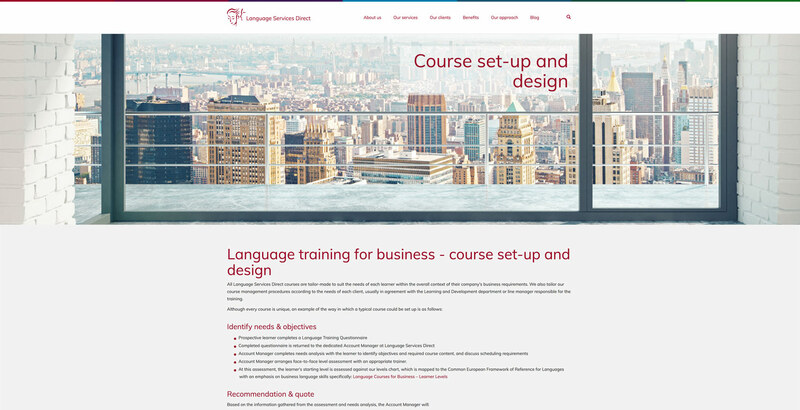 Language Services Direct is a leading supplier of business language courses. 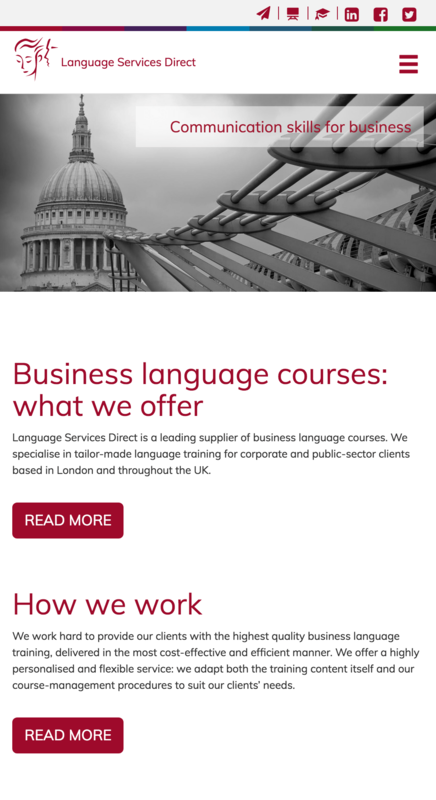 They specialise in tailor-made language training for corporate and public-sector clients based in London and throughout the UK. 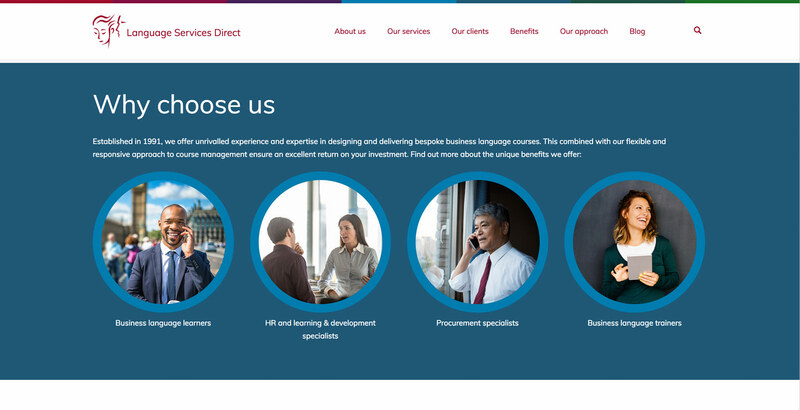 Having been introduced to Language Services Direct through an existing client, Code were tasked with the design, build and launch of a new and exciting website. 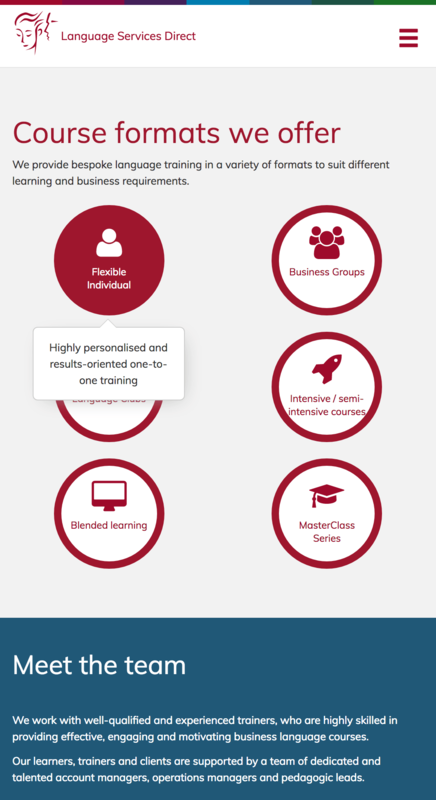 The brief was simple, our client wanted a contemporary and fresh new look, and a User Experience that was engaging for new and existing customers and trainers from a whole host of different nationalities. A modern and fresh looking website, built using the latest technologies and user experience best practises. 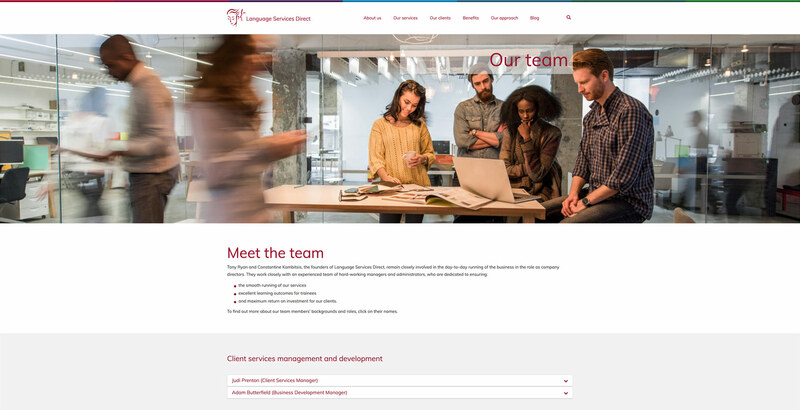 Ben and his team at Code Web Development managed the overhaul of our website, modernising its look and feel and dramatically improving the user experience. The website was redesigned with SEO firmly in mind to support our marketing goals. The team listened carefully to our brief and delivered a product that surpassed our requirements and expectations. We are delighted with the new website and found Ben and his team great to work with. The project was proactively managed and the service provided by all team members was friendly, client-centred and responsive. I would recommend Code without hesitation. User driven interactions keep visitors engaged throughout their journey and navigate them to their pages of interest in the most direct route possible. 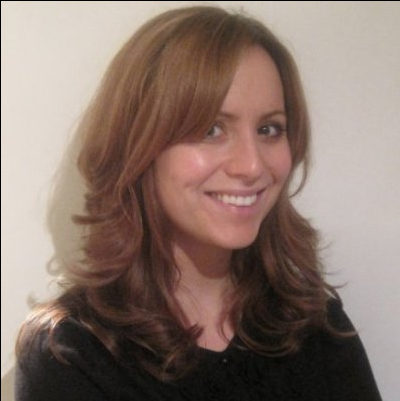 Appealing to new and existing corporate clients and taking existing trainers to their dedicated areas efficiently. Profiles expand out to give the user more detail on each member of staff with links to the individuals LinkedIn accounts, driving traffic to their LinkedIn company page and encouraging the user to share insights to their social media channels. Using high quality cityscapes gives the site a fresh and modern appearance whilst giving the user a sense of the clients coverage internationally.